Recently, extreme pro-abortion group NARAL helped block the passage of the Justice for Victims of Trafficking Act because its language, which has been public record for more than two months and even received bipartisan support, prohibits taxpayer dollars from paying for abortions. Now that they’ve stalled aid that is so desperately needed by human trafficking victims, NARAL is attacking those who stand by the Justice for Victims of Trafficking Act. 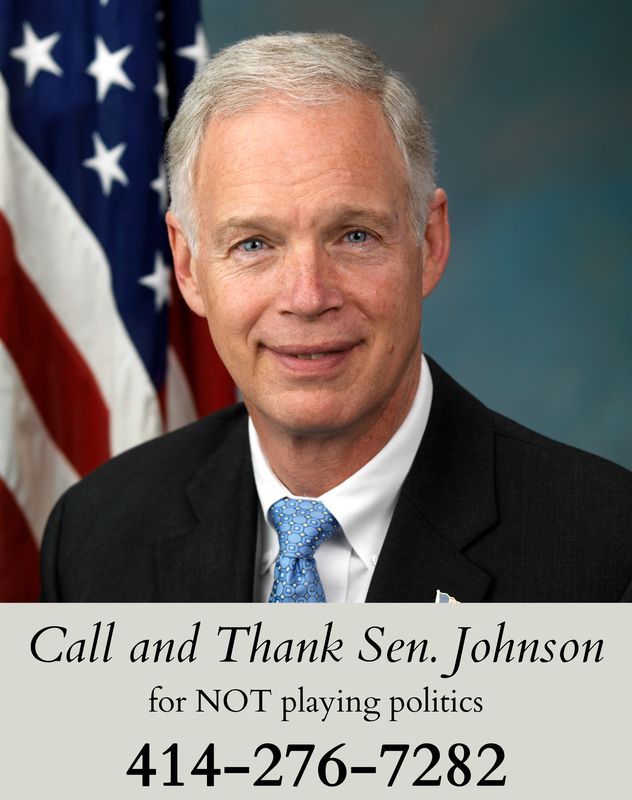 Please call and thank Senator Ron Johnson at 414-276-7282 for standing by the Justice for Victims of Trafficking Act, and refusing to play abortion politics with the women and girls who need our help.